All Hallows’ Eve, more commonly known as Halloween, is a yearly event celebrated on October 31, and one that is anticipated by the young and young at heart all over the world. Some scholars claim that Halloween originated from Celtic festivals that honored the dead or that celebrated the harvest, while others doubt that there’s any connection at all to Samhain (a Gaelic harvest festival.) Regardless of its origin, our team at the dental office of Dr. Christopher LeCuyer and Dr. Paul Amato hope that Halloween is fun and enjoyed by all of our awesome patients! Halloween is about fun; stepping outside our normal lives and donning a costume or gathering with friends to knock on doors and ask for candy is as much a part of our culture as hot dogs and barbecue on Labor Day. 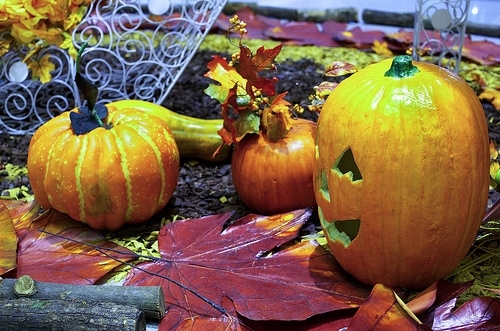 Have a safe and happy Halloween from the team at LeCuyer & Amato Dentistry! ← Is cheese crucial to my child’s oral health?